With the glamorous beach club staying open till January 2019, there’s every reason to have some winter luxury. Fear not beach lovers as Nassau Beach Club is set to stay open for the low-season all the way up to 12 January 2019. 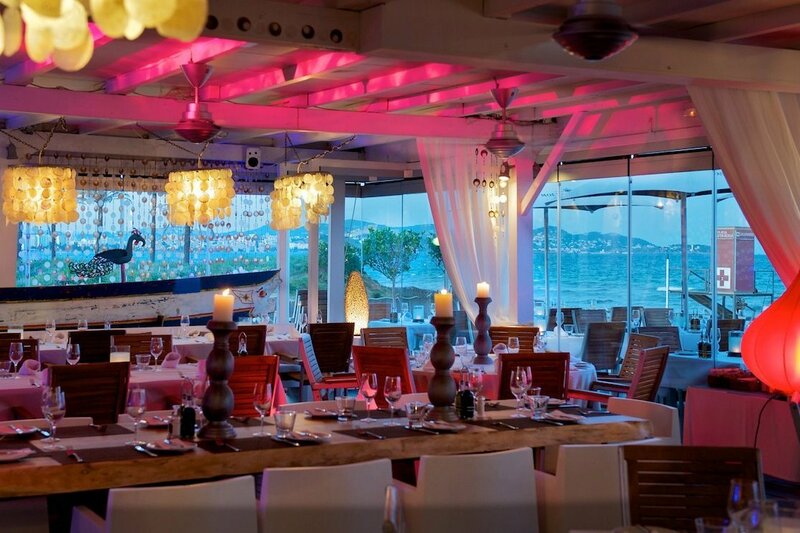 The glamourous Playa d'en Bossa venue is the perfect spot to take in some sparkling sea views, enjoy the excellent Mediterranean and Asian menu and sip on perfectly-prepared cocktails. Opening from Wednesday to Sunday, there's a special and great value mid-week menu priced at just €25, a top way to sample its food for less. See our food review to get a flavour of the cuisine. On Saturdays for the next two weeks on 11 and 17 November, drop in for its special evening event “Sushi & Cocktails” with DJs Leti and Iban Mendoza on the decks for a beautifully-inspired low-season night out. Laid-back and top quality service, locally-sourced ingredients for its menu and an overall a jet-set experience help make this place a special one. At the weekend, the full a-la-carte menu is on offer and the venue is also offering dinners for businesses on all days that the beach club is open. The menu caters for all with some lovely vegan and vegetarian dishes as well as those free of gluten. The nautical-inspired decor is perfect for its beachside location and the plush bar is a delight for lounging and sipping on one of the beach club's excellent range of Champagnes and Cavas. Head on over to Nassau Beach Club for some low-season luxury and a divine dining experience.